What Does John 14:17 Mean? Isaiah prophesised of the day when the virgin would conceive and give birth to Immanuel - God with us, and this joyful news was told to Joseph, when an angel of the Lord appeared to him - and for thirty amazing years, God dwelt among His own people, for the Word became flesh and tabernacled among us, full of grace and truth. 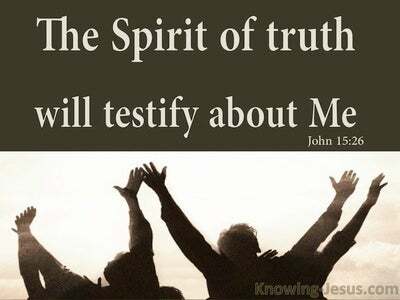 Jesus was indeed God WITH us but He told His disciples of an even more staggering truth, that the time was fast approaching when the Holy Spirit would be sent - God WTHIN us. 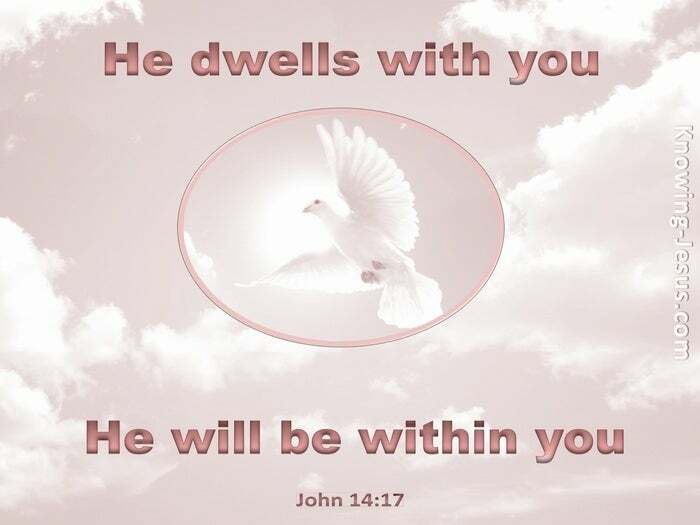 The limited reach of the Lord Jesus as a Person in His human body extended only to those that were physically alongside Him, but the unlimited reach of the Holy Spirit as a Person, is such that no matter where we go, or what we do... God, the Holy Spirit dwells within. The Lord did a work FOR us but since the cross and resurrection it is the Holy Spirit of Truth Who works WITHIN us. 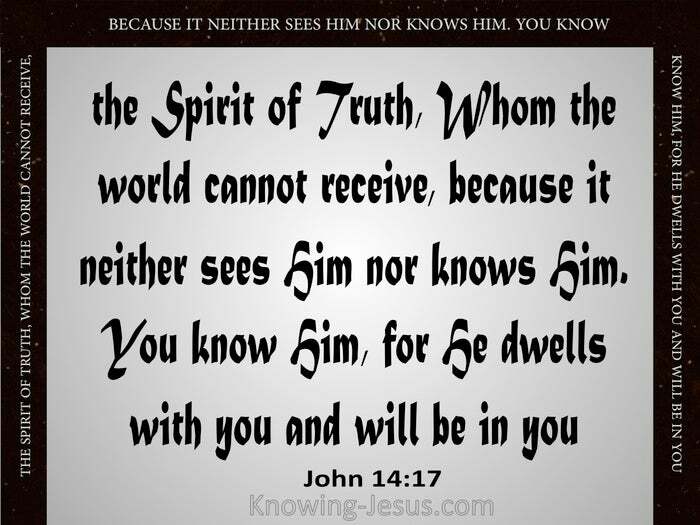 The world is incapable of receiving the Spirit of God for they do not KNOW Him, but those who have trusted Christ as Saviour DO know the Holy Spirit - and the reason is that He has come to make our human bodies His permanent dwelling place - His royal palace - the Temple of God. 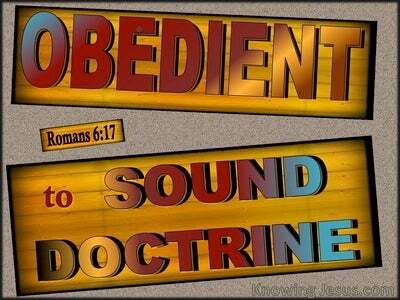 The promise that God the Holy Spirit will be IN you was given to the disciples just before Christ finished His work of redemption on Calvary's cross. At Pentecost that promise was fulfilled - and from that day to this, ALL who trust on Jesus Christ as Saviour have God, the Holy Spirit with us and all around us, above us and beneath us, before us and after us - but He is also WITHIN us. Only when God the Son went to be with God the Father could God the Holy Spirit take up permanent residence WITHIN the bodies of ALL who are born from above. 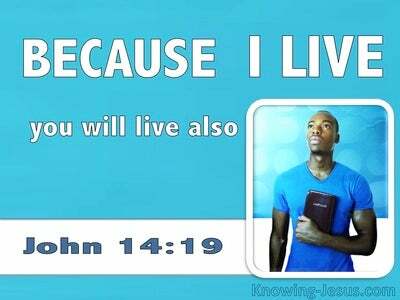 Thank You Father for sending Your Holy Spirit to be with me always and to live WITHIN me. 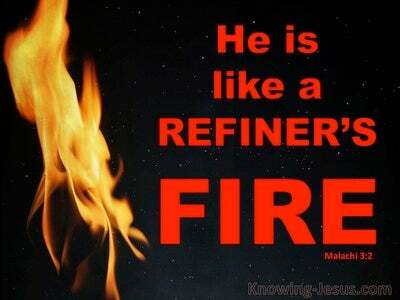 Make me a willing vessel to be used by Him to Your praise and glory, in Jesus name I pray, AMEN.